Evian that has recently unveiled a new digital platform The Source today launches ‘Live Young, Get Fit!’, a three-city pop-up workout series featuring celebrity fitness trainer Jackie Warner. 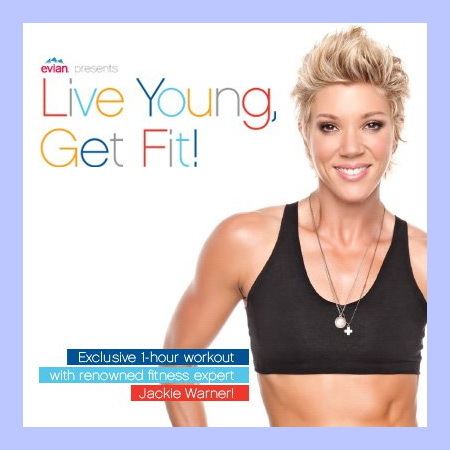 The event will gather 100 participants and Jackie Warner at Gilmore Laneat The Grove in Los Angelesfor Jackie to share her fitness expertise with the public. The other events will take place in the Beekman’sBeerGardenat Pier 17 in New York City on June 9 and at The Oasis at the Raleigh Hotel in Miami Beach, Florida on June 16. Participants will experience a one-hour fitness session with Jackie Warner, with a special focus on toning and cardio exercises. InLos Angeles, Jackie will lead the sets from on-stage, while participants will work out on exclusive Evian yoga mats. A custom music playlist created via Mixcloud will motivate the fitness participants to move. They will also receive a copy of Jackie Warner’s latest book, ‘10 Pounds in 10 Days’ and will be able to meet Jackie post-workout for a photo and book signing. Attendees in each city will receive customized fitness kits. With these products, Evian will inspire people with the idea of living young and active as well as keeping well-hydrated, which is very important to stay healthy. “With the Live Young, Get Fit! Pop-Up workouts in Los Angeles, New York and Miami, we aim to further enforce Evian’s message of Live Young, and that youth is never a matter of age, it’s an attitude. Jackie’s enthusiasm and inspirational personality perfectly embodies the brand’s Live Young spirit,” said Jerome Goure, VP of Marketing, Evian North America.